I found the Giro a mixed race, for me the death of Wouter Weylandt clouded everything and wish his family, friends and team mates well. Other moments of the race saw a dominant Contador and I know many are impressed but me, well I prefer more of a scrap between the contenders. Anyway, with the Giro d’Italia over, focus now turns to upcoming races. Many races in June share a common theme, the results are there to be viewed against the backdrop of the Tour de France. Can form in the Critérium du Dauphiné stage race starting this weekend last into the back of July? Can riders dominant in Europe’s fourth longest race, the Tour de Suisse also stay fresh for Le Tour? It’s a pity in a way as this month sees some great races in its own right. 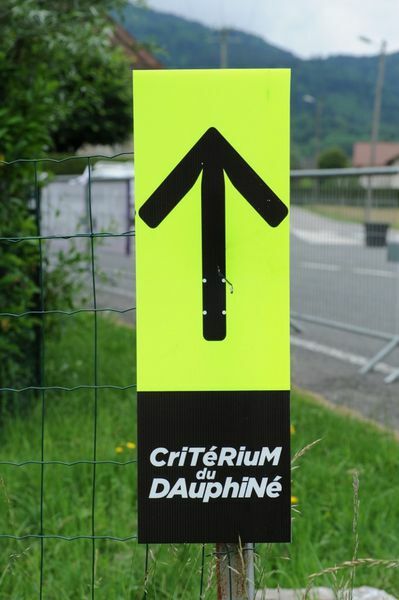 The Dauphiné is typical, a week long mini Tour de France with something for the sprinters and the climbers, not to mention a time trial stage with an identical route to that used in the Tour de France a month later. If organisers worry their races are used as mere training events, it seems some are also actively encouraging participants to test themselves in view of July. Last year saw the first edition of the Dauphiné run by Tour de France organisers ASO. As such the race has changed subtly in character, growing in size but also, perhaps, a little less adventurous. Shared routes with the Tour de France and even Paris-Nice, the attribution of the stage starts and finishes smells like ASO have said “if you want a stage of Le Tour, you need to host another of our races too.” This cross-subsidation keeps events like the Dauphiné going but it means smaller but more exciting climbs might be left out. Nevertheless, it’s a chance for ASO to test new formats. Similarly the Tour de Suisse is run by sports management company IMG. Keen to boost local support the route has in the past been designed to help local star Fabien Cancellara. But not this time, the route includes summit finishes and hors categorie climbs and it’s one for a climber who can hold his own against the clock. There are more races too, from the upcoming stage races like Tour of Luxembourg to the Route du Sud, plus one day races like the Franco Ballerini Memorial in Italy. Above all, there’s a big period of limbo in June. From Sunday 19 June to Saturday 2 July there’s almost no racing, bar Halle-Ingoigem in Belgium and the European national championships. Expect plenty of Tour preview features across the media. At the top tier yes, but what about the Tour of Portugal? Cillian Kelly: true but the race calls itself that, the “fourth grand tour”. Maybe I should have put “self-styled”? Gilbert: a shame, I simply looked at the calendar produced some time ago. For me as well, the Giro took on an unusual, spacy feeling after Wouter’s death, and again after Tondo’s death. I wonder for how long the same feeling will linger over other races. I saw a few stages of the Tour of California, and at the Leopard-Trek team bus at the Seaside start the day after Wouter’s funeral, the atmosphere was extremely subdued as the riders exited the bus to go to sign-in. I really felt for them, wondering how they even managed to get on the bike to sign-in. Phil & Paul disagree with your “4th Grand Tour” assessment. Apparently the Tour of Caleefornyuh is either 4th or 2nd depending on which http://forums.roadbikereview.com/showthread.php?t=249686 “supporting documentation” you believe (sarcastic comment, in case I haven’t represented it as much yet). For me the most disappointing part of watching the Giro was wondering if the winner is actually the winner of if second place will be the winner. The whole race dynamic would have been so much different had Scarponi and Nibelli been battling it out for first instead of second. Instead we were all subjected to watching a dominant (yet sketchy) “win” by AC. How can we get excited for the TDF when it’s likely we’ll be watching the same scenario unfold.